As we look around the world, we see that all countries with substantial political and military power have great mountains. For example, China is backed up by the Himalayas; the Rocky and Appalachian mountains support the United States; the Urals support Russia, and for the EU, the key mountains are those between Italy and France, like Mont Blanc. These are the regions with military or political power. All economically powerful countries – China, the United States, Japan, the EU – are all surrounded by water. This is also true on the scale of individual cities. All prosperous cities are near water: in China, there are Shanghai, Hong Kong, and Shenzhen; in the United States, New York, Los Angeles, Chicago; in Japan, Tokyo and Osaka. In Europe, Paris and London are on great rivers. In other words, these confirm the Feng Shui theory that mountains are for military and political power, and that water is for wealth. But what about the Philippines? They are surrounded by water: how come they aren’t rich? Here we have to rely on Yin-Yang theory to provide deeper insight. “Without Yin there is no birth; without Yang there is no growth.” The balance of Yin and Yang is important. Mountains are Yin; water is Yang. The countries mentioned above have both mountains and water. In the Philippines, however, despite the abundance of water, there is no coherent, unifying mountain formation, but only a scattering of islands. Mountains represent coherent, stable leadership, both individually and institutionally. But the history of the Philippines does not include stable leadership. Russia is bounded by several large bodies of water, and has many rivers. They have an abundance of water: why then is Russia not rich? Much of the water is frozen, either in the Arctic, or for a good part of the year farther south. Once water is frozen, it no longer flows: it becomes almost like land. So, in Russia, political and military power are always greater than economic strength. If Feng Shui students look at the geography of nations around the world, they can get quite a bit of insight into the political and economic status of countries, and how they relate to their geography. In this way, it is possible to build up a better understanding of the impact of these four features on those who live within them, at any scale. In a city on a slope, we can expect that the commercial district will be on the lower side, since water flows downward. When I gave lectures in Colombia, I visited a few cities and towns. They were generally hilly, and I noticed that the business districts were on lower ground. Government buildings were higher up, and on the highest ground were churches. 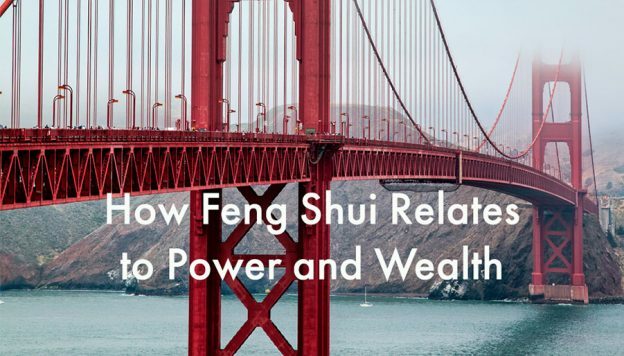 People around the world are following Feng Shui principles even without knowing about them. In other words, we live in a Feng Shui world, whether we know it or not. Natural patterns always express themselves through us. When we become aware of this, we can refine our actions to take greater advantage of these patterns, so that our lives can be more harmonious and productive.